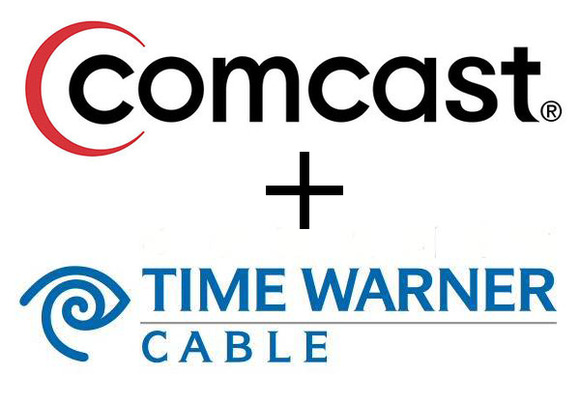 Comcast’s proposed acquisition of Time Warner Cable is partly a grab for negotiating power in the fast-changing video content business, but it might affect broadband users, too. The $45.2 billion offer comes as cable TV operators face a growing number of new channels for the kinds of content they used to deliver almost exclusively. Online video providers such as Netflix, Amazon, YouTube, and Hulu (part-owned by Comcast’s parent company) now offer alternatives to cable that can travel over any reasonably strong Internet connection, and the makers of video content look to them as alternatives to cable operators. If Comcast boasts more customers, it may be able to get better deals. But alongside its cable TV business, Comcast is already the biggest wireline broadband provider in the U.S., with 20.7 million customers. After the deal’s done, it expects to have about 30 million. That’s more than Verizon Communications, AT&T or any other cable operator, though mobile data services that can rival home broadband’s speed have even more customers. The direct effects on broadband customers of the two cable companies may be minor, analysts said, but critics of the deal warned it might give Comcast more power to shape consumers’ broadband experience over time. On the positive side, the buyout could strengthen service for former TWC customers, said IDC analyst Matt Davis. Comcast has been ahead of most major cable operators in rolling out new, fast infrastructure, he said. 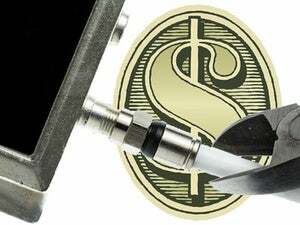 “From a consumer broadband perspective, if the deal goes through, they would be inheriting a company that’s really focused on broadband being a core service,” Davis said. The company offers speeds up to 505Mbps (bits per second) on its home service. Another benefit to Time Warner users might flow from Comcast’s negotiations with regulators in order to get the deal approved, Davis said. Net neutrality rules that Comcast agreed to as a condition of its buying NBC in 2011 would be extended to Time Warner, Comcast executive vice president David Cohen said on a conference call Thursday. The rules, which were set to last for seven years, call for all services delivered over the Internet to be treated equally. “Those Time Warner customers are going to kind of have an umbrella of protection that they didn’t have before,” Davis said. With the Time Warner deal under scrutiny, Comcast may also be forced to make other concessions that could help subscribers, he said. Those might include more privacy reporting and more transparency about data caps or network control. Critics warned the combination would give Comcast too much power over equipment suppliers and other companies involved in broadband and cable, leading to higher prices. One factor that could shape broadband service is Comcast’s bargaining power when making peering agreements, the deals under which core network providers get access to the edges of networks, said Derek Turner, research director at the consumer rights group Free Press. In 2010, Comcast had a content delivery dispute with one such company, Level 3. Caps on the amount of data that subscribers can use per month, which Comcast is starting to introduce, could also hurt consumers, Turner said. Comcast’s Cohen wouldn’t speculate about the deal’s effect on broadband services, saying it was too early to say. Asked about monthly data caps, he said the technique is still in trials and only a small minority of Comcast customers are under them. It’s not clear where Comcast’s trial will be at the end of the year, when the deal would close, he said. Likewise, he said the effect on prices would be hard to quantify, though merging the companies should cut some costs internally. “We’re certainly not promising that customer bills are going to go down or even that they’re going to increase less rapidly,” Cohen said. Comcast’s focus in the plan is squarely on video, said Roger Kay, principal analyst at Endpoint Technology Associates. It wouldn’t make such an acquisition to grow its pure broadband business, he said. The cable companies face competition in that area from fiber-based services such as AT&T’s U-verse and Verizon’s FiOS, as well as from fast mobile networks. Those rivals are also competing on the content front, because like Comcast, they fear being beat out by a cheaper bandwidth alternative, he said. “All of these guys have been trying not to be relegated to just being pipes,” Kay said.